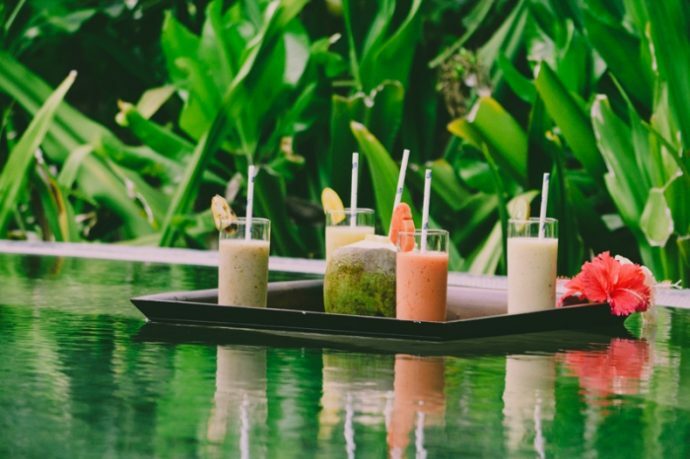 Coco Palm Dhuni Kolhu has introduced a special Edible Spa Juice Bar to complement treatments offered under its Edible Spa Menu. Last year, Coco Collection launched a unique Edible Spa Menu; a delightful spa menu where the treatments use entirely edible ingredients. From coconuts to cocoa powder, this menu utilises ingredients straight from the kitchen cupboards to create a truly wholesome wellness experience. Treatments from the menu include the decadent Chocolate Cake Scrub, the refreshing Mango Smoothie Mask, and the revitalising Banana Ice Cream Wrap, to name a few. 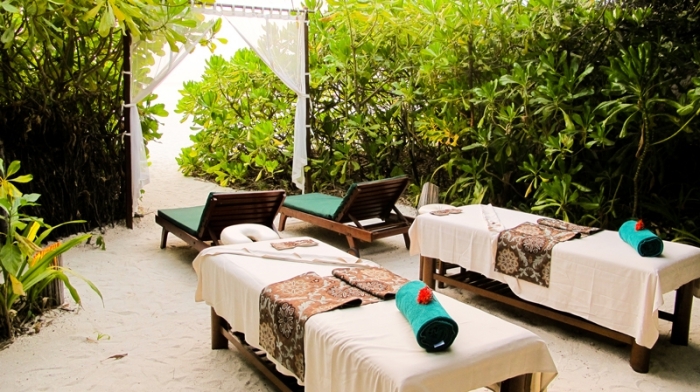 The spa team at Coco Palm Dhuni Kolhu has now created a special Edible Spa Juice Bar to complement these treatments. The Edible Spa Juice Bar serves up such treats as the delicious Coco Lassi, made with fresh mangoes, kiwi, honey, and coconut milk — the same ingredients used in the Coco Lassi Face Mask. The Edible Spa Juice Bar also serves Mango Smoothies, Papaya Panna Cotta Juice, Banana Juice, Ginger Tea, Jasmine Tea, and the local staple, Fresh Coconuts. The ingredients used in these drinks, as with their complementary treatments, have been selected for their healthful properties, such as the hydrating benefits of coconut water, or the concentration of vitamins in mangoes and kiwis. 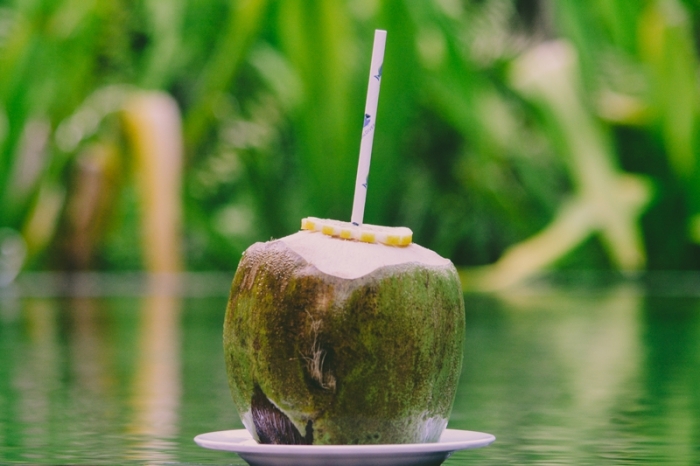 These refreshing drinks are available exclusively at the Coco Spa at Coco Palm Dhuni Kolhu. Coco Palm Dhuni Kolhu lies in the stunning southern waters of the Baa atoll. The 30-minute journey by seaplane from Velana International Airport gives guests a stunning start to their holiday – a bird’s eye view of the azure lagoons and curling atolls. It’s a taste of the natural reality that comes with your Maldives vacation. As you land, you are entering one of the world’s essential havens – a designated UNESCO biosphere reserve and home to incredible marine life and reefs. Part of the award-winning local hospitality group Coco Collection, Coco Palm Dhuni Kolhu is dedicated to making the most of its cherished island home. The resort embodies the Maldives as it should be: nourishing, charming, inspiring and enchanting. The style and feel are rustic yet luxurious, organic yet elegant. Traditional craft blends with the ease of contemporary comfort. This is a soulful Maldives vacation spot where the everyday stresses of life are left behind, and you can reconnect with nature.